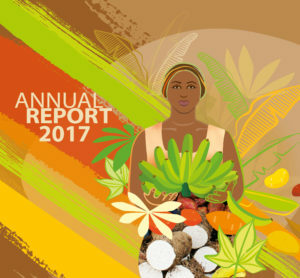 The CGIAR Research Program on Roots, Tubers and Bananas (RTB) has developed a multi-faceted gender strategy that will be woven through its research and development portfolio during the first three-year phase of the program and beyond. The strategy has been developed over several months and is based on extensive consultations with a wide range of stakeholders. The overall objective of the Program is to improve food security and reduce poverty while strengthening gender equality. For this to happen, all farmers, both men and women, must be able to benefit from science and technology interventions leading to positive development outcomes. This entry was posted in Themes and tagged gender on May 17, 2013 by admin.